Psychiatry vs. Psychology: What's the Difference? It's not uncommon for the average person to mistake psychiatry and psychology as the same field of study – but they're not. While both psychiatrists and psychologists treat people suffering with mental issues and disorders, they are in fact not the same. In order to differentiate the two, it's helpful to first understand the fundamentals of each discipline. Psychiatrists are licensed medical doctors who have completed medical school and can prescribe medications. Psychologists on the other hand are not medical doctors. They are licensed mental health professionals that use psychological therapies and interventions to assist those strugging with mental, emotional and behavioral issues. To better understand the difference between these two fields of study, it helps to have clear understanding of each individual discipline. Psychiatry is the study, diagnosis and treatment of mental disorders using psychotherapy, psychoactive medication and other psychiatric modalities. The mental disorders psychiatrists treat include behavioural, affective, perceptual and cognitive abnormalities. All psychiatrists are also medical doctors, must have a medical degree to practice in the United States. Depending on the severity of the mental disorder, patients may be treated on an inpatient or outpatient basis. As mentioned, to become a psychiatrist an individual must obtain a medical degree, which may include the Doctor of Osteopathy degree. They must also complete all state licensure requirements. The job outlook for psychiatrists is bright and job growth within the field is expected to be higher than that for most other occupations. As psychiatrists are licensed medical doctors, they're one of the higest paid of all professionals working in any field related to psychology. An experienced psychiatrist can earn from $100,000 to $200,000 a year. Psychology is the study of mental functions and behaviors among humans and animals. It is both an academic and applied discipline. Professional practitioners within the field of psychology are called psychologists. They explore and attempt to understand the neurological and physiological processes of the brain and how these processes affect behavior. Within the field of psychology there are several branches. These include cognitive psychology, abnormal psychology, child psychology, clinical psychology, forensic psychology, behavioral psychology, social psychology, and industrial psychology, among others. Psychologists use their specialized knowledge to provide diagnosis, assessments and treatments of mental health problems. They also offer counseling and therapies. Psychologists work in universities, industrial settings, human development, health care, forensic investigation and sports. To become a psychologist requires a Ph.D. in psychology or closely related discipline. One of the most distinct differences between the disciplines of psychology and psychiatry are the education and training requirements. A psychiatrist has a degree in medicine, where a psychologist has a doctoral degree in psychology. Psychologists typically pursue either a Ph.D. (Doctor of Philosophy) or Psy.D. (Doctor of Psychology in counseling or clinical psychology. It typically takes between five and seven years to complete a doctoral-level psychology program. Upon completion of all education requirements, psychologists must also complete a one to two year internship in order to gain licensure in the state where they plan on practicing. Some states also require an additional two years of supervised practice – much like the residency program required to become a psychiatrist. Psychiatrists must complete an M.D. after first completing a bachelor's degree. After medical school, psychiatrists are required to complete a four-year residency training program in mental health before qualifying for state licensure. Many psychiatrists pursue specialized training in specific areas such as addiction treatment, geriatric psychiatry, or child psychiatry, to mention just a few. A Career in Psychiatry or Psychology? The most apparent difference between psychiatrists and psychologists is that psychiatristics are medical doctors that can prescribe drugs and psychologists aren't – but the differences between these two disciplines go a bit deeper. Psychiatrists typically focus on the applied discipline of mental health treatment and employ modalities such as psychotherapy. While psychologists also treat mental illness, many focus almost exclusively on clinical psychology research designed to learn more about cognitive and human behavior. When involved in research, psychiatrists typically focus on concepts that revolve around psychiatric medication. A few jurisdictions in the United States, including New Mexico and Louisiana, now allow psychologists to prescribe medications. 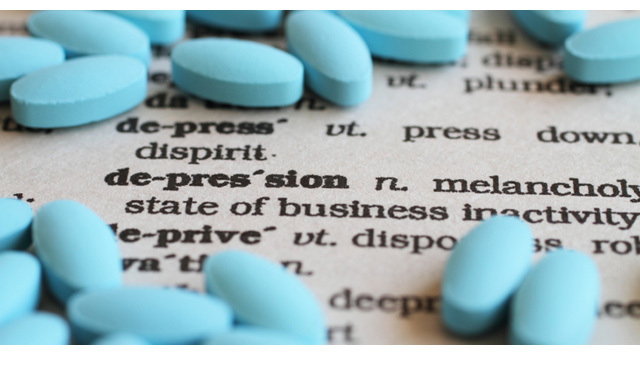 Psychologists that can prescribe medications are sometimes referred to as medical psychologists. They typically hold a post-doctoral masters degree in clinical psychopharmacology. As more and more psychologists begin prescribing medications, fewer and fewer difference will exist between psychologists and psychiatrists. If you're looking for a career in therapy, then both psychology and psychiatry are viable options. You'll just need to decide which career path is right for you. Do you see yourself administering psychological assessments, conducting psychotherapy, or being involved in research? If so, a career as a psychology may be just what you're looking for. If you want to make a doctor's salary and prescribe medications, then you should seriously consider a career in psychiatry. However, if you're not up to five to eight years of graduate school, then maybe you should consider a career as a licensed counselor or social worker. Both counseling and social work only require two to three years of graduate level education. Another good option is psychiatric nursing. Psychiatric Nurses perform many of the same functions as psychologists and psychiatrists, including diagnosis of mental disorders, administering psychotherapy, and prescribing medications.